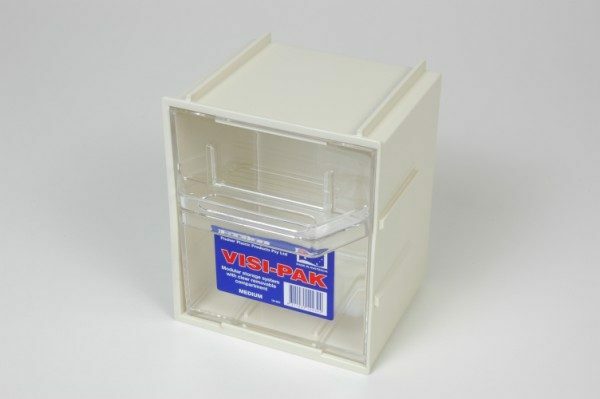 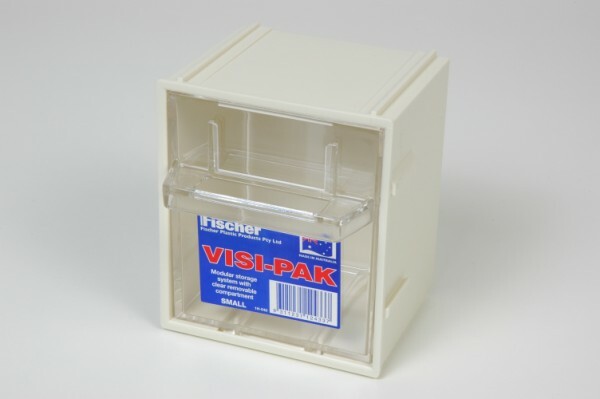 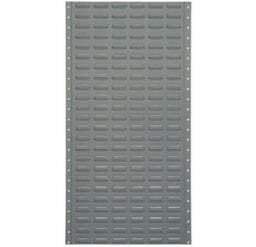 Visi-Pak tilt fronted bins can be hung from a louvre panel, screwed to a wall or stacked on top of each other. 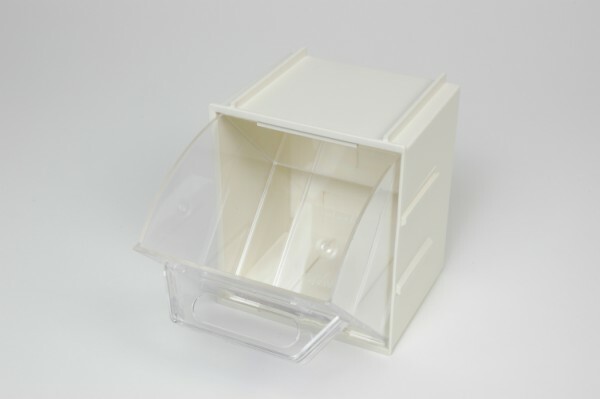 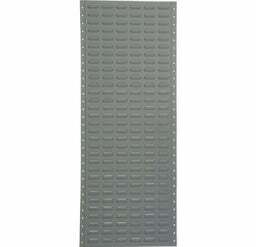 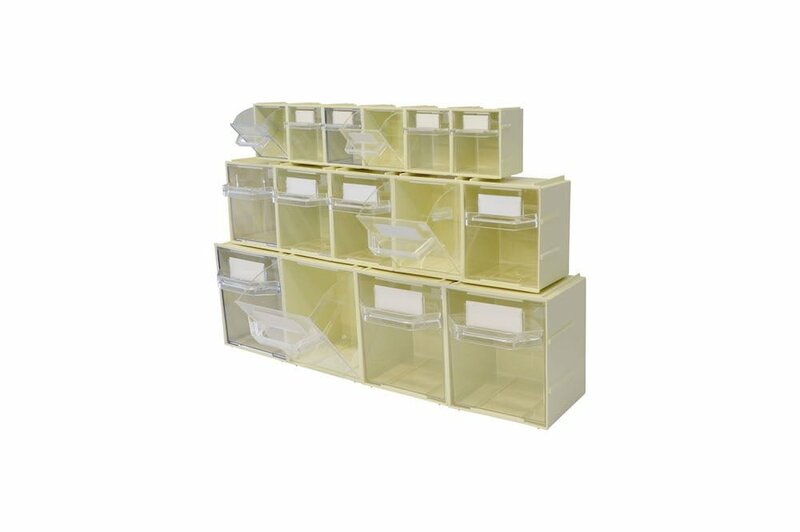 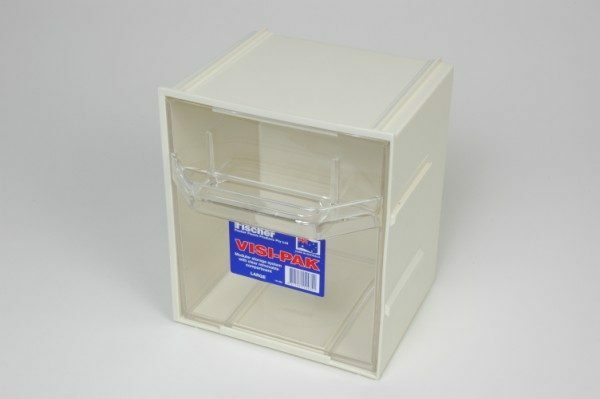 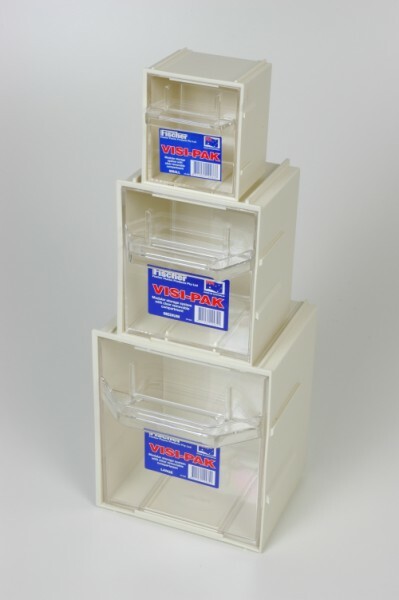 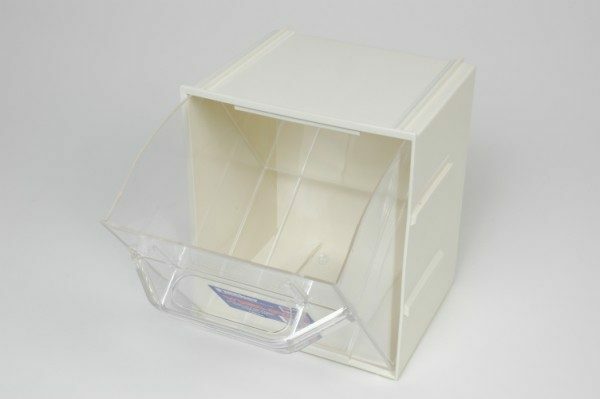 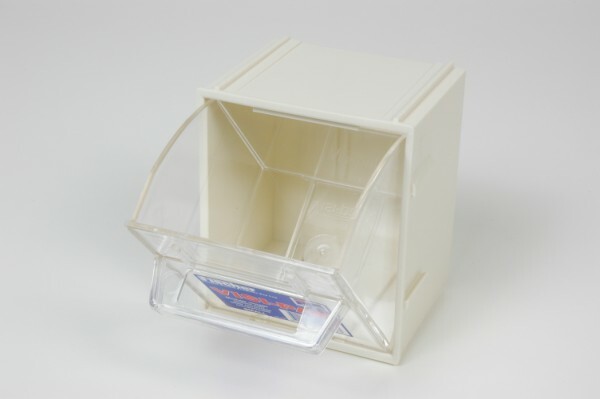 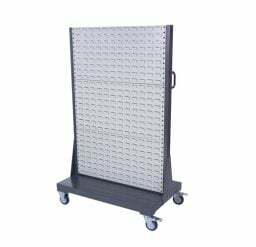 The clear storage compartment makes stock control easy and also suits customer display area’s. Color: Outer case beige, tilting compartment clear.